Predicting rainfall in the Murray-Darling Basin is a crucial job, the new report’s authors say. Australia is falling short in its ability to monitor the climate, potentially leaving farmers and other groups unable to access crucial information about rainfall, droughts and floods, the Australian Academy of Science has warned. A review of Australia’s climate science capability, released today, recommends that Australia needs to recruit an extra 77 full-time climate science staff over the next four years, on top of the current 420, to meet the demand for detailed weather and climate information. Without these resources, Australia risks being unable to provide accurate information to those who need it, said UNSW oceanographer Trevor McDougall, who led the review. 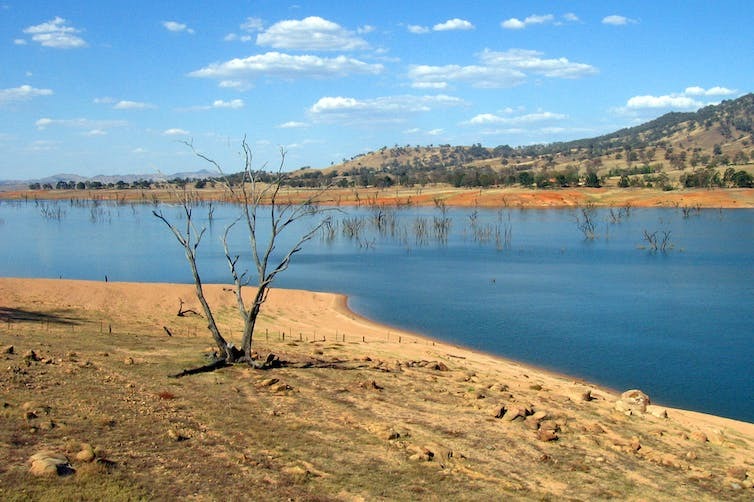 That could include being unable to predict accurately the changes to rainfall patterns in farming regions such as the Murray-Darling Basin – with potentially serious consequences for farmers, Professor McDougall said. Although the review says Australia is strong in some areas, such as studying extreme weather events, it identified several key shortcomings, particularly in climate modelling. Australia is not keeping pace with efforts in the United States and Europe, which are developing fine-scale climate models covering their own regions. “Other countries are not looking in detail at our country – we need to run those models ourselves,” Professor McDougall said. Julie Arblaster, an atmospheric scientist at Monash University and co-author of the review, said Australian climatologists do not have enough access to the supercomputing facilities needed to run advanced climate models. “We need to look at multiple models from all around the world, but at the moment there isn’t the funding available,” she said. Former CSIRO climatologist Graeme Pearman said the lack of regional climate predictions could have real consequences for Australian communities. “We are not in a position at this stage to be able to confidently anticipate the water resource issues within the [Murray-Darling] basin. This is an enormous economic issue for Australia; it’s the food basin of the country,” he said. Coastal communities also need reliable, localised information to predict flooding risk, Dr Pearman said. “It’s not something that you can use a global model to anticipate – you have to have detailed, high-resolution information about particular areas of the coastline,” he said. Australia currently has 420 full-time equivalent positions in climate change science and monitoring, spread across CSIRO, the Bureau of Meteorology, the Institute of Marine Science, Geoscience Australia, and universities. Last year saw the launch of the CSIRO Climate Science Centre in Hobart, with a staff of 40. But the government has scaled back publicly funded climate research elsewhere, including cutting 75 jobs from CSIRO’s Oceans and Atmosphere division as part of a wide-ranging program of layoffs. Federal environment minister Josh Frydenberg said the government “continues to make a significant financial investment” in climate research, citing the new CSIRO centre in Hobart, as well as a range of other initiatives. Frydenberg said the government has invested A$37 million in long-term climate science monitoring capability, A$23.9 million in a climate change hub in the National Environmental Science Program, and committed A$255 million to climate research as part of the Australian Antarctic Strategy. The review sets out a range of options for implementing the suggested staffing increases, including giving overall responsibility to CSIRO or the Bureau of Meteorology, or creating an entirely new agency. Professor McDougall said that the proposed four-year phase-in period would allow many of the roles to be filled by Australian researchers, rather than recruiting from overseas.